Maya Trails believe in collaborating with local communities to ensure that tourism has a positive impact. Among other initiatives, Maya Trails always use local guides in each destination, support community-based organizations and their tours, collaborate with Helps International to install efficient stoves in homes of Mayan families throughout the highlands and serve on the board of the Ixchel Museum in Guatemala City. Niños de Guatemala – Niños de Guatemala (NDG) provides underprivileged children with an education. NDG runs two primary schools and a secondary school which house over 500 Guatemalan children that would otherwise not have been able to go to school. The organisation seeks to be self-sustaining with several business initiatives including a Spanish school and tourist activities. Pintando el Cambio – Pintando el Cambio (Painting the Change) is using art as an economic and beautification tool for the village of Santa Catarina Palopo on Lake Atitlan. 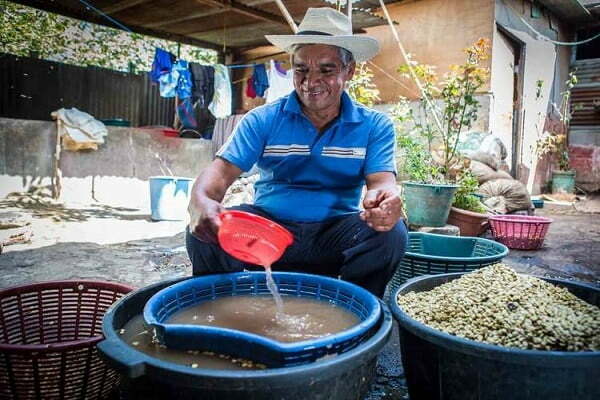 De la Gente – De la Gente’s mission is to create economic opportunity for coffee-producing communities. They achieve this through commercialization of coffee, providing co-operative assistance and developing community tourism. Maya Traditions – Maya Traditions is dedicated to facilitating access to national and international markets for Maya backstrap weaver artisans and their families in the highlands of Guatemala. Following a Fair Trade model, they continually seek to support artisans, their families, and their communities through social programs that work to build capacity, preserve local cultures, and motivate indigenous women to strengthen their entrepreneurial ecosystems.